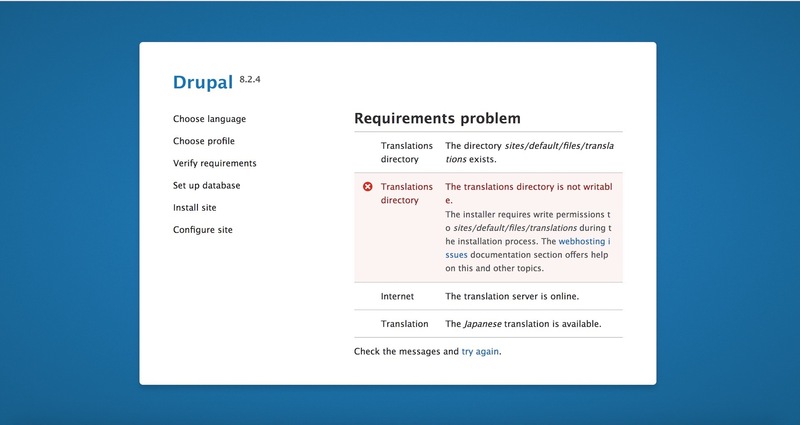 The translations directory is not writable. The installer requires write permissions to sites/default/files/translations during the installation process. The webhosting issues documentation section offers help on this and other topics. drwxr-xr-x. 3 apache apache    75 Apr 29 10:49 .
drwxr-xr-x. 3 apache apache   130 Dec  7  2016 ..